John Walker Lindh, an American who became a Muslim holy warrior, received a 20-year sentence Friday after tearfully asking forgiveness for serving the Taliban rulers who sheltered Osama bin Laden and his terrorist leadership in Afghanistan. U.S. District Judge T.S. Ellis III accepted a plea agreement in a proceeding filled with drama, even though prosecutors and defense lawyers had agreed in advance on the sentence in return for Lindh's cooperation. A tearful Lindh told the court prior to his sentencing that he accepted full responsiblity for serving as a Taliban soldier and said he believes terrorism is never justified to resolve grievances. Weeping and speaking haltingly during a 20-minute statement, he said that if he had known when he joined the Taliban that it would be sheltering Osama bin Laden's terrorist network, he never would have enlisted in their Army. Referring to bin Laden, Lindh said, "His grievances, whatever they may be, cannot be justified by acts of violence." Ellis told Lindh, "You were willing to give your life for the Taliban but not for your country." While he may have joined the Taliban because of his Muslim beliefs, Ellis told Lindh, "What you were fighting for was not virtuous." Acknowledging that Lindh had sought forgiveness, Ellis said, "Forgiveness is separate from punishment." The judge told a packed courtroom, which included Lindh's parents, brother and sister, that many Americans will think his sentence was too lenient while others will believe it was too severe. Lindh's statement, presented while standing at the podium facing the judge, wasn't the only drama in a hearing that lasted nearly two and a half hours. Johnny Spann, whose CIA agent-son Mike was killed during a prison uprising while Lindh was in the vicinity, told the judge that Lindh was partly responsible for his son's death. "The punishment doesn't fit the crime, to me," he said. Ellis, however, said he never would have approved the plea agreement if the government had shown any evidence that Lindh was responsible for Spann's death. Lindh told the judge, "I had no role in the death of Johnny Michael Spann." Lindh faced a sentence of 20 years under terms of a plea agreement with the government. Under terms of that agreement, prosecutors dropped more serious charges. He could have received a life sentence if he had been convicted of conspiring to kill U.S. nationals, one of the original charges. Expressing remorse for his actions, Lindh said, "I understand why so many Americans were angry when I was first discovered In Afghanistan. I realize many still are, but I hope in time that feeling will change." Lindh said he joined the Taliban to fight atrocities of the Northern Alliance in Afghanistan and never expected to be opposing Americans. "I did not go to fight against America, and I never did," said Lindh, whose lawyers said he never fired his weapon. Lindh added, "I have never supported terrorism in any form and I never will. I made a mistake by joining the Taliban. Had I realized then what I know now, I would never have joined them." Earlier, Lindh and other al Qaeda and Taliban prisoners told U.S. interrogators the Sept. 11 hijackings were supposed to be the first of three increasingly severe attacks against Americans. Their claims have not been corroborated, government officials said. Authorities have gathered similar information from prisoners of various levels of the terrorist network. But the officials said the United States hasn't found specific plans for two additional large-scale attacks and they suspect the claims could involve disinformation or folklore that circulated among low-level terrorists and Taliban soldiers after Sept. 11. "We have not been able to corroborate the claims among the thousands of pages of documents and other evidence we have gathered the last year," one senior law enforcement official said. "We believe some of these prisoners may have been trained to give misinformation or simply were passing on rumors." One law enforcement official said some al Qaeda and Taliban prisoners said the second and third wave attacks could involve biological, chemical or radiological weapons to increase casualties and were designed to paralyze Americans with fear and cripple the economy. Details of Lindh's extensive interrogation, part of his plea agreement, remain secret. However Rohan Gunaratna, a terrorism expert who worked with defense lawyers and interviewed Lindh, said the California native told him he picked up battlefield rumors about two waves of post-Sept. 11 attacks. 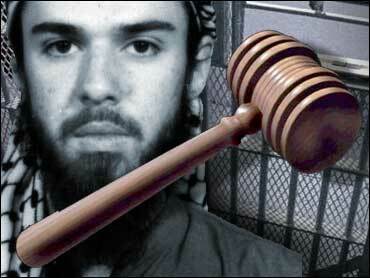 Lindh, 21, pleaded guilty July 15. He was captured last December with other Taliban in Afghanistan, the last stop on his journey from a teenage convert to Islam in San Francisco's suburbs to a foot soldier for the vanquished Afghan regime.